MANILA -- With the decisive defeat of the Maute Group terrorists in Marawi City, lawless elements will be forced to think twice before occupying another city or town in the Philippines. This was emphasized by Armed Forces of the Philippines (AFP) chief-of-staff Gen. Eduardo Año in an interview Monday. "(With a total of 920) terrorists killed since the start of the campaign (in May 23), they will think twice of occupying another city or town," he said. Government troops killed in the five-month fighting stands at 165. Despite these losses, Año said the AFP feels very happy as the job to liberate Marawi City has been completed successfully. With this, the job of allowing the families displaced by the fighting and rehabilitation and reconstruction of facilities and homes damaged by the war can now start, he added. "We can now proceed with the next phase, makakabalik na yung mga kababayan natin sa Marawi, (Our fellowmen can now return to Marawi.)" 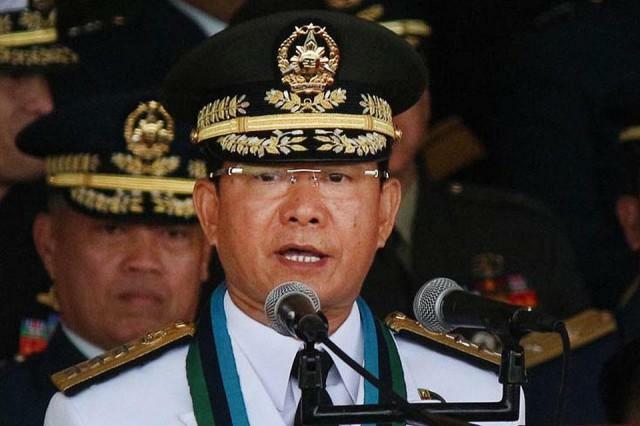 the AFP chief emphasized.